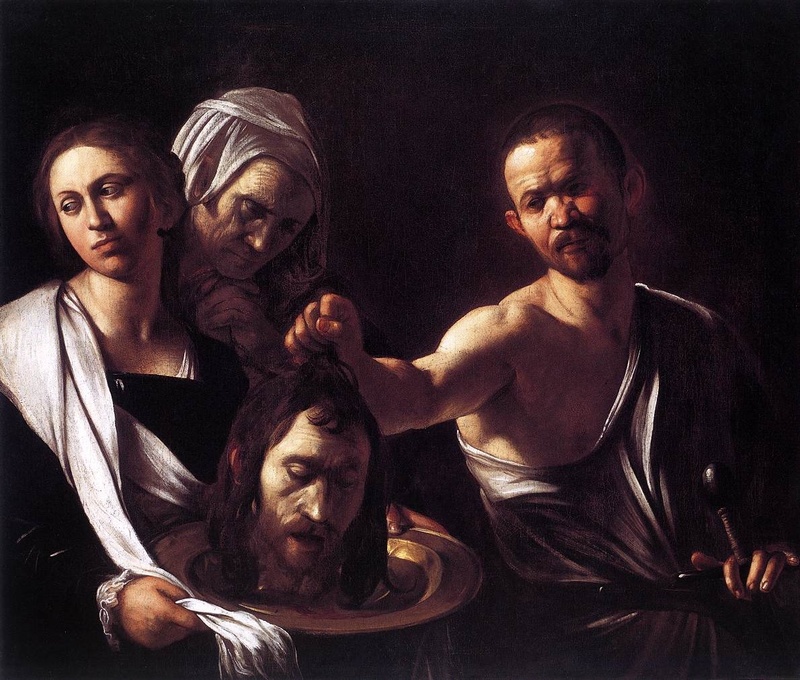 Today is the commemoration of the Beheading of Saint John the Baptist (also known as the Decollation of Saint John the Baptist or Beheading of the Forerunner), a holy day observed by various Christian churches that follow liturgical traditions. 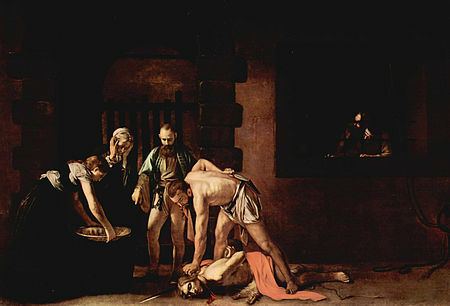 The day commemorates the martyrdom by beheading of Saint John the Baptist on the orders of Herod Antipas (often called Antipas to distinguish him from other Herods), through the vengeful request of his step-daughter, Salome, following the advice of her mother, Herodias, (Antipas’ second wife). According to the Synoptic Gospels (primarily Mark and Matthew, and passingly in Luke), Antipas, who was tetrarch, of Galilee under the Roman Empire, had imprisoned John the Baptist because he reproved Antipas for divorcing his wife (Phasaelis) and marrying Herodias, the wife of his half-brother Herod Philip I. It’s a bit hard to assess what John was objecting to. Herodias was Antipas’ first cousin once removed, so some commentators claim John thought this was an incestuous marriage. This is unlikely since first cousin marriage was lawful; commonly preferred. He was more likely objecting to the divorce(s). Both Antipas and Herodias had to divorce their spouses to be married to each other, which is forbidden under Mosaic Law. So, John was most likely thinking of the union as adulterous. 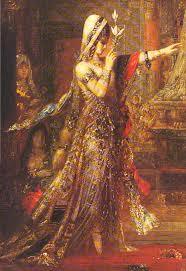 On Herod’s birthday, Herodias’ daughter (whom Josephus identifies as Salome) danced before the king and his guests. Her dancing pleased Herod so much that he promised to give her anything she desired, up to half of his kingdom. 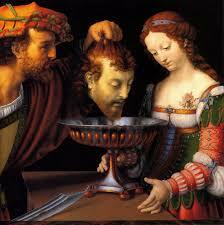 When Salome asked her mother what she should request, she told her to ask for the head of John the Baptist on a platter. Although Herod was appalled by the request, he reluctantly agreed and had John executed in the prison. Obviously there is a deep element of disapproval here, not just because of the beheading, but because of the salaciousness of the act leading to it. 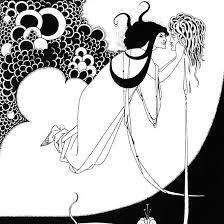 Salome was not performing some demur dance, but arousing the whole male company. The Jewish historian Flavius Josephus also relates in his Antiquities of the Jews that Herod killed John, stating that he did so, “lest the great influence John had over the people might put it into his [John’s] power and inclination to raise a rebellion, (for they seemed ready to do any thing he should advise), [so Herod] thought it best [to put] him to death.” He further states that many of the Judeans believed that the military disaster that fell upon Herod at the hands of Aretas, his father-in-law (Phasaelis’ father), was God’s punishment for his unrighteous behavior. 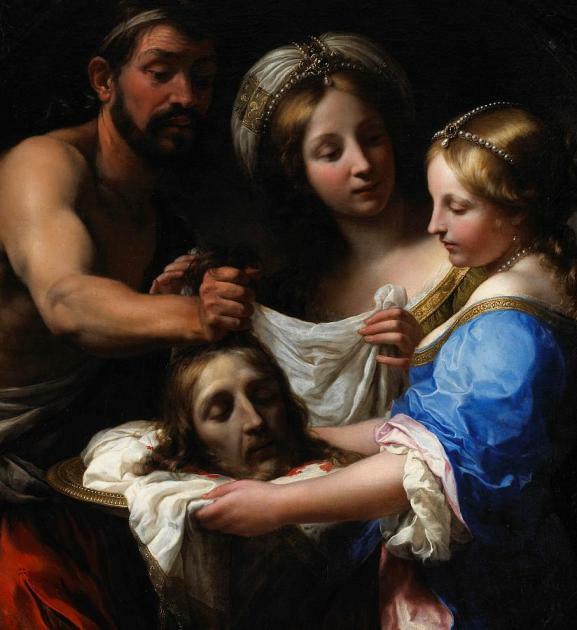 The liturgical commemoration of the Beheading of St. John the Baptist is almost as old as that commemorating his birth, which is one of the oldest feasts, if not the oldest, introduced into both the Eastern and Western liturgies to honor a saint. The Roman Catholic Church celebrates the feast on August 29, as does the Lutheran Church and many other churches of the Anglican Communion, including the Church of England. The Eastern Orthodox and Byzantine Catholic churches also celebrate this feast on August 29. This date in the Julian Calendar, used by the Russian, Macedonian, Serbian and Ethiopian Orthodox Churches, corresponds in the 21st century to September 11 in the Gregorian Calendar. The day is always observed with strict fasting, and in some cultures, the pious will not eat food from a flat plate, use a knife, or eat round food on this day. For Herod himself had given orders to have John arrested, and he had him bound and put in prison. He did this because of Herodias, his brother Philip’s wife, whom he had married. For John had been saying to Herod, “It is not lawful for you to have your brother’s wife.” Herodias nursed a grudge against John and wanted to kill him. But she was not able to, because Herod feared John and protected him, knowing him to be a righteous and holy man. When Herod heard John, he was greatly puzzled; yet he liked to listen to him. Finally the opportune time came. On his birthday Herod gave a banquet for his high officials and military commanders and the leading men of Galilee. When the daughter of Herodias came in and danced, she pleased Herod and his dinner guests. The king said to the girl, “Ask me for anything you want, and I’ll give it to you.” And he promised her with an oath, “Whatever you ask I will give you, up to half my kingdom.” She went out and said to her mother, “What shall I ask for?” “The head of John the Baptist,” she answered. At once the girl hurried in to the king with the request: “I want you to give me right now the head of John the Baptist on a platter.” The king was greatly distressed, but because of his oaths and his dinner guests, he did not want to refuse her. So he immediately sent an executioner with orders to bring John’s head. The man went, beheaded John in the prison, and brought back his head on a platter. He presented it to the girl, and she gave it to her mother. I’m inclined to think that the story is apocryphal ,and more likely to believe Josephus that Antipas was afraid of John’s political power and so had him executed. I’m not sure why Mark wants to whitewash Antipas and make Herodias the villain. The Judeans hated Antipas as much as they hated Herodias. The beheading of John is a very popular story in art. Here’s a small gallery. Although today is a serious day for fasting in the eastern Orthodox church, I’m Presbyterian so I can cut loose. I’m thinking more about Antipas’ feast. Meat in ancient Israel was prepared in several different ways. The most common was to cook it with water as a broth or a stew (for example, Ezekiel 24:4-5). Meat stewed with onions, garlic and leeks and flavored with cumin and coriander is described on ancient Babylonian cuneiform tablets, and it is most likely that it was prepared similarly in ancient Israel. 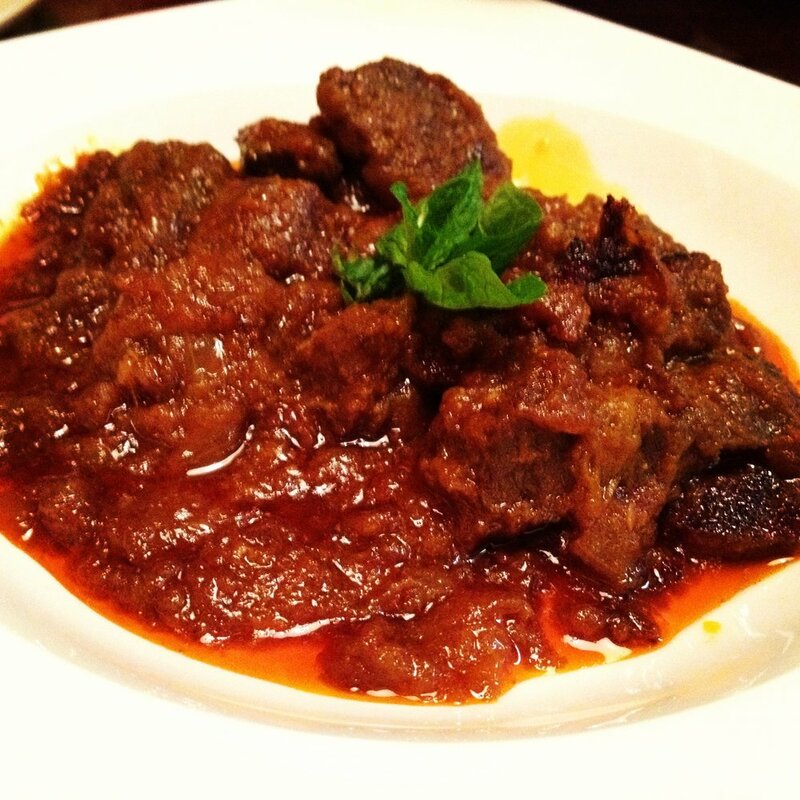 Stewed meat was considered to be a dish worthy of serving to honored guests (Judges 6:19-20). So let’s go with a meat stew. You could use any meat really (except pork, of course). Hunted meat, such as venison was a highlight in ancient Israel. You may recall that in Genesis 27 Isaac asks his son Esau to hunt some game to make a tasty stew before blessing him, but his wife Rebekah got her other son Jacob to kill two choice goats and prepared a stew for Jacob to take to Isaac before his brother Esau got back from the hunt. If I were you I’d make the following stew with goat if you can find it, or stewing parts of deer if you live in hunting territory, or lamb as a fallback. For lamb or goat use bone-in, stewing cuts. I make this stew without a recipe so this one is just some guidelines. Coarsely chop a large onion and sauté it in a heavy-bottomed pot in a little olive oil until transparent. Add 1 kg of goat, venison, or lamb cut into bite-sized pieces and brown evenly. Cover with stock and bring to a simmer, skimming any scum. Add two leeks, green and white parts, cut into chunks. Add a clove of garlic finely minced and ground cumin and coriander to taste, along with salt and freshly ground black pepper to taste. I’d go light with the seasonings at first and adjust during the cooking process. Cover and simmer for 2 hours or until the meat is very tender. Let the stock reduce but not dry out. Add more if necessary during the cooking process. Serve in deep bowls with flatbread such as pita. As a side dish you can serve a lentil stew.